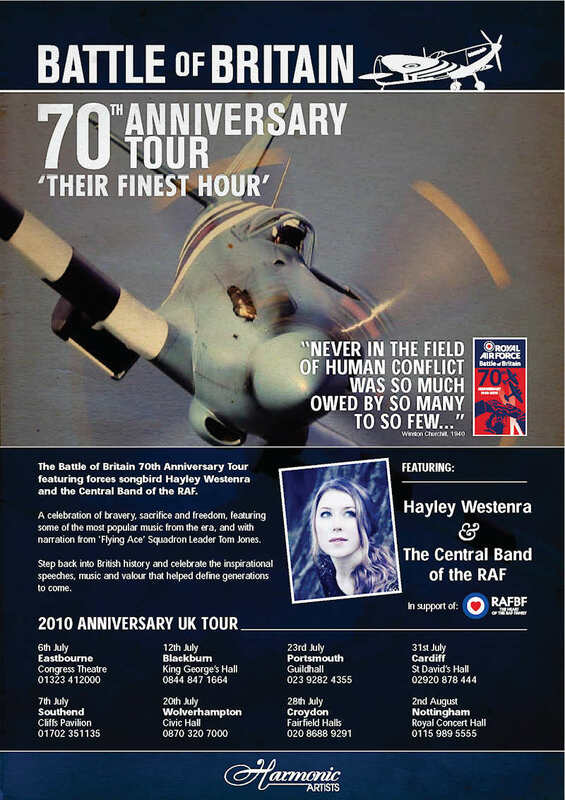 I'm pleased to tell you that at last, Hayley's "Battle of Britain 70th Anniversary" tour with the Central Band of the RAF, Band of the RAF College or (possibly) the Band of the RAF Regiment is today confirmed by the organisers Harmonic Artists (Bedlam Management). There will be eight concerts as follows, each of which has its own thread in the new Battle of Britain tour sub-board, so if you wish to comment on a particular concert, please do so in the relevant thread and not in here. I'm sure we will all agree that it's been worth the wait so now, let's spread the word and support these Hayley concerts (in support of RAF Benevolent Fund) to the max! Many thanks to Wendy at Bedlam Management for providing an advance copy of the following official announcement, for publication today at 10:00 am BST (until then, sorry but we had to hide it). Just a quick reminder that as of 10 am today, the entire Battle of Britain tour is now confirmed by Bedlam Management and two concerts have been added to the list - Portsmouth and Nottingham. Thanks! This sounds really exciting! The song choices sound very interesting. It will be a great chance to hear Hayley sing some very new and different material! Thanks Dave, the tour looks very promising and a complete contrast to Hayley's normal format. It obviously builds upon Hayley's successful appearance at the Festival Of Remembrance last year. It will be interesting to guage the average age of the attendances since the concert format will undoubtedly appeal to the older generations. I hope however that parents and grandparents will bring their children and grandchildren along. I hope they correct the rather unfortunate typo on the 12 th July concert before publishing the poster for general circulation. LOL! Or is that just the 'r' joining up with the 'n'? Could be but Eastbourne looks OK. It's a kerning issue, 2 letters blurring together on a reduced-size poster (to fit the forum). The original poster is 3 times wider, uncompressed, and is fine. I did make a minor correction when copying the press release to the forum though. Pleased to hear it does not need a reprint. Also I've learned a new word today. 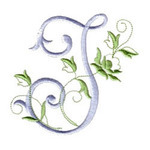 Kerning. It doesn't happen often at my age. The word you learnt....was that kerning or keming ? It's likely I will sit this one out. It's simply not my type of music, but I wish Hayley every success with it! Oh Wow, finally confirmed !! !